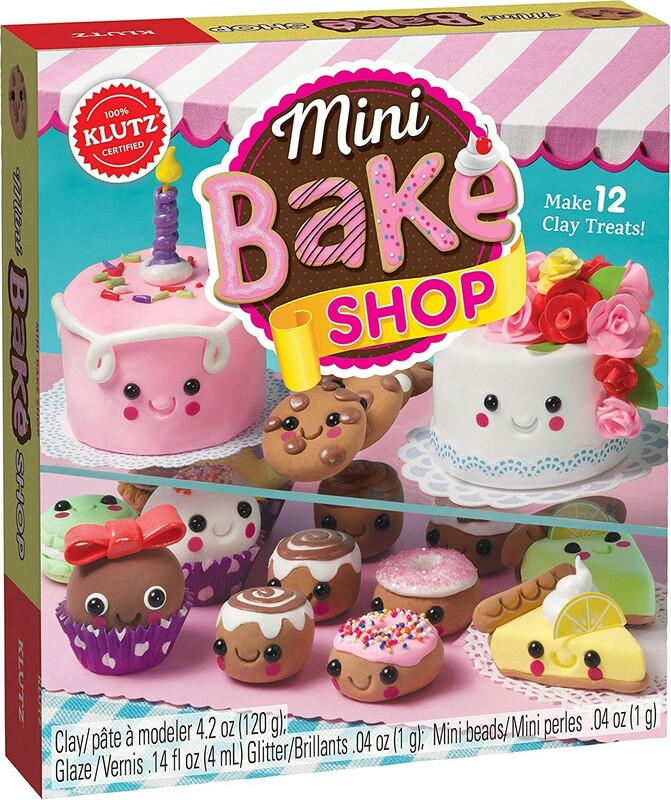 These little treats from Klutz look good enough to eat! 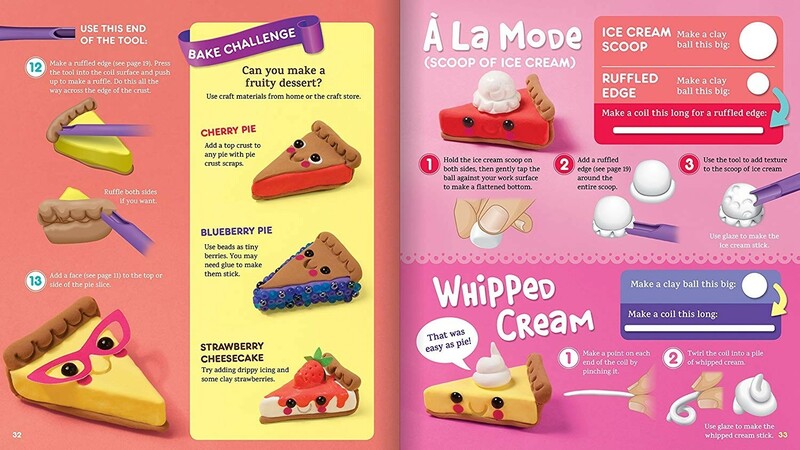 Create and decorate your own mini cakes, cookies and pies with easy-peasy, no bake, air-dry clay. 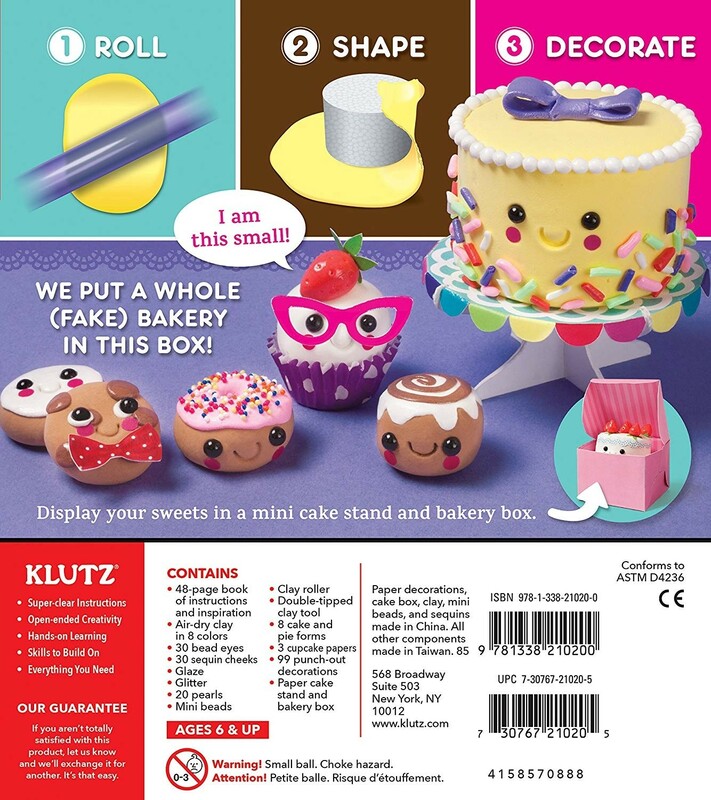 This kit includes all of the "ingredients" and instructions for rolling out clay just like fondant. 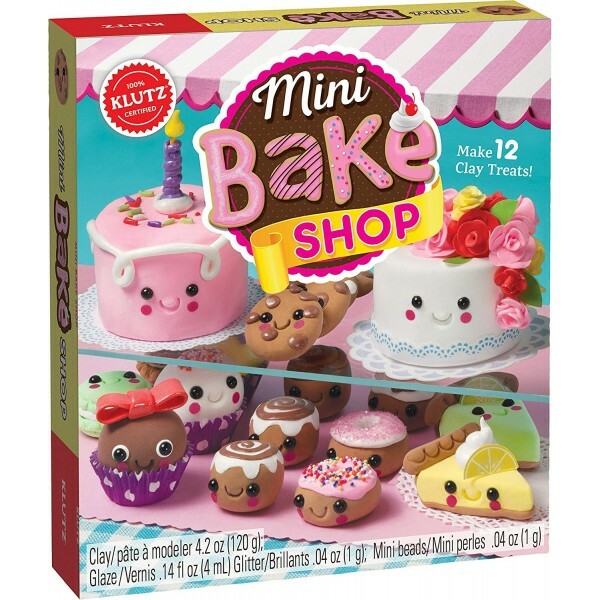 Make faux flowers, stack on the sprinkles, add expressive faces, and more, then display your clay creations on a mini-cake stand or in a beautiful box to highlight your baking talents! It's a bake shop of captivatingly-cute confectionary.